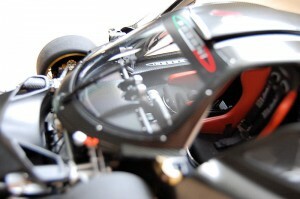 The exterior of the model is simply BEAUTIFUL, its absolute eye candy for the senses, so much to see! The carbon fibre work is well executed and the weave is perfect IMO. 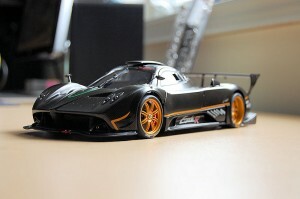 Body lines flow on this monster, even standing still it seems to be going 200 mph! 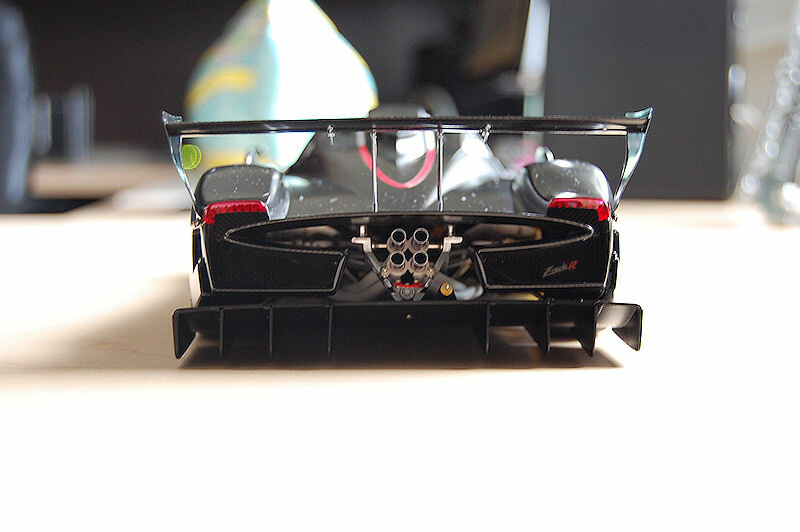 Some assembly is required with this model; the rear wing comes disassembled and secured with the styrofoam shell and the exterior mirrors both left and right need to be installed. AUTOart does supply a few tools (screwdriver, handling cloth, and magnifying glass) with the model, along with the typical Signature Series literature. There were some concerns from collectors that it what too difficult to assemble the wing due to the fact the screws were very tiny. Easy fix, prior to assembly magnetize the tip of the provided screwdriver with a magnet. The small screw will stay in place long enough for you to install. 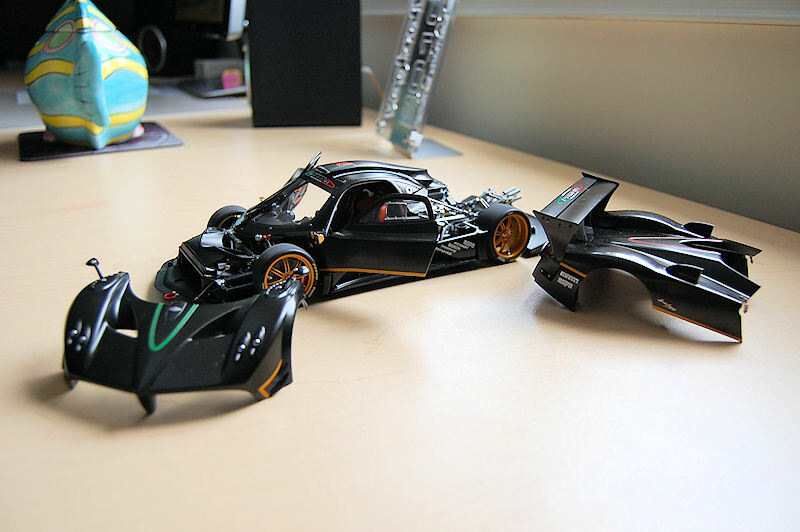 The shutlines aren’t perfect mostly due to the fact that the front and rear are both fully removable bits. 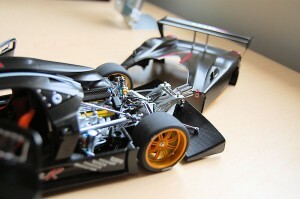 The wheels are nicely executed too, with a lot of detail behind the obvious rotor and brake caliper. More on that shortly. The motor work is remarkable, again enough eye candy here to satisfy the most discriminate collector, I best leave the photos to do the talking here. 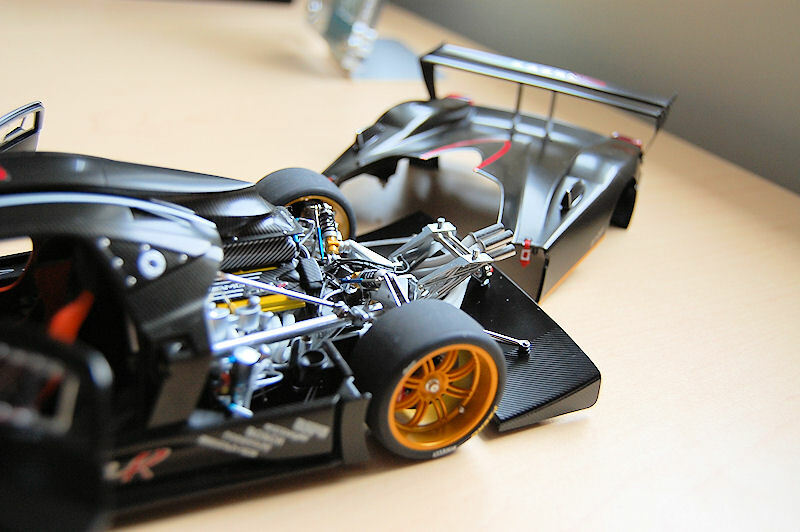 There are concerns how AUTOart used some screws to manufacture certain components on the model vs. the 1:1 but honestly it works well together, like a finely tuned v12. 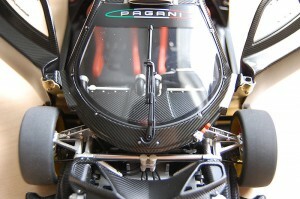 The front compartment is fully removable as mentioned above. 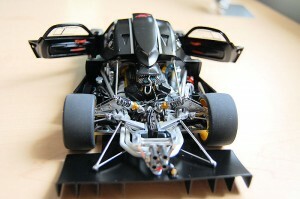 Nice detail is provided, which now fully reveals is the awesome suspension components. Carbon fibre theme is still very visible here. The interior is nicely appointed and serves the original 1:1 well. 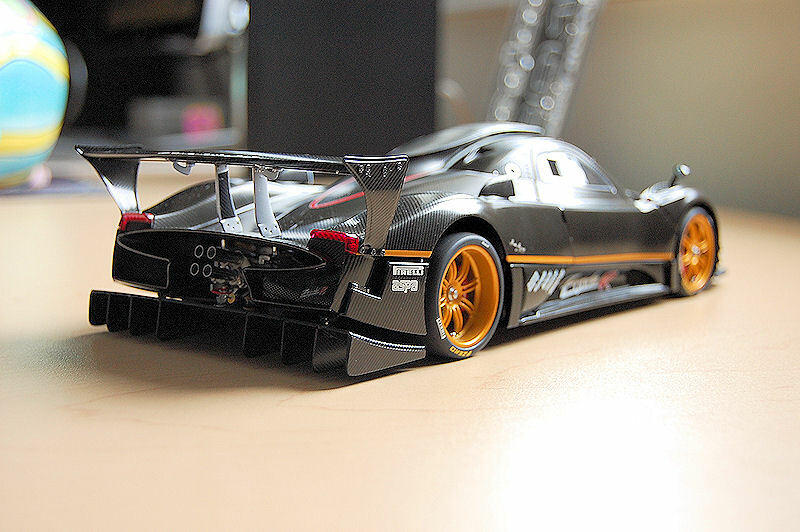 Pagani are masters at form and function being integrated as art, very oblivious here. 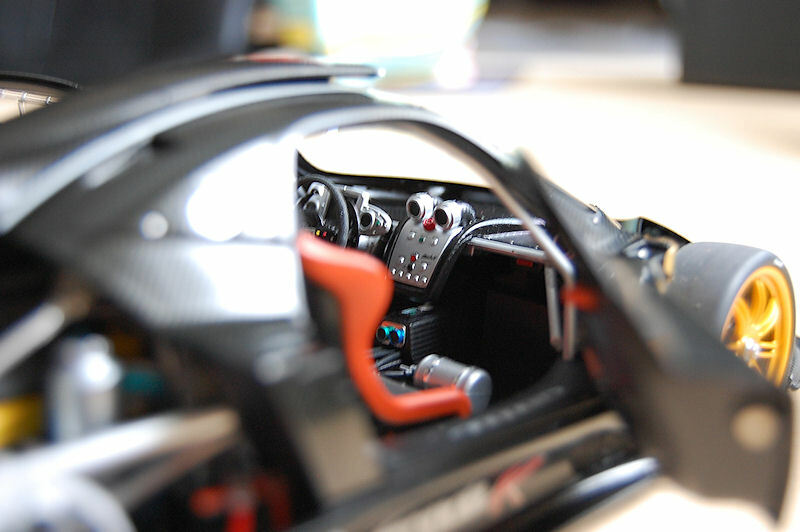 As Zonda R is considered a track car the interior is sparse in regards to Pagani standards but the usual bits both street and track are present. Overall I think AUTOart hit a home run with the Zonda R. It may not be everyone’s cup of tea, but for a supercar collector this one is a MUST! There is some much to enjoy with this model. Every time you take a minute to two to enjoy it you discover some other details you may have over looked, and I for one am good with that. 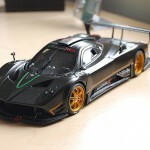 AUTOart has announced the Pagani Huayra for 2013, pre-production samples are indicating the model will thrump the Zonda R, and I can’t wait to review it! Enjoy the pics!! 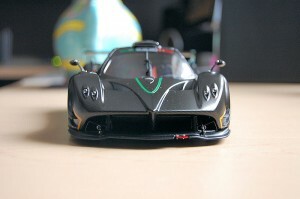 2 Responses to "REVIEW: AUTOart Pagani Zonda R"
This is one of Autoart’s finest work! The detail throughout is remarkable! And one of the few models truly worthy of the Signature branding. 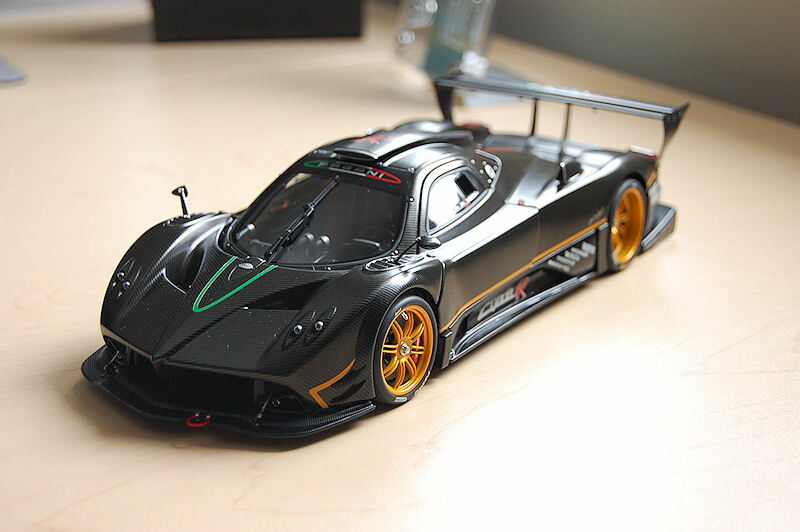 Yes its also true that no model is ever perfect and ultimately neither is the Zonda R. Personal gripes are the front and rear removal body panels which don’t fit on quite securely enough. Visible magnets are ugly and detract from the accuracy but im sure Aa could have done better with this model somehow. The other thing that bugs me about this model is the size of the phillips head screws they used. 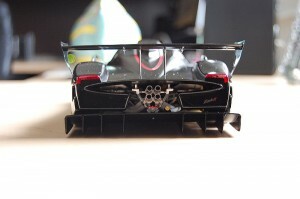 They could have used smaller sized screws in the build particularly on the front cover where the wing mirrors bolt to. They look massive, ugly and are very unrealistic. 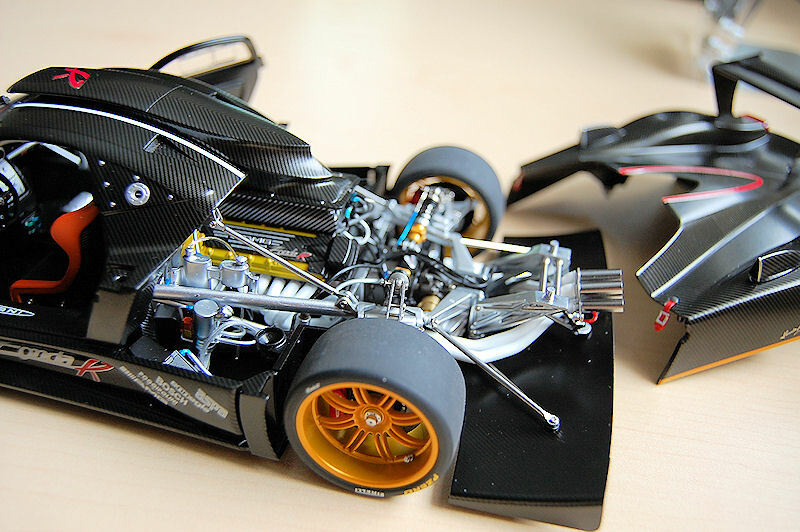 Also many of the visible screws in the engine bad and suspension area could have been smaller too. I once considered looking for screws with smaller head caps to replace the originals on my example but found it difficult and expensive so I abandoned that idea to accept the model how it came. But recently have began reconsidering that idea. 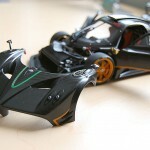 And one other are the lock down straps on the removable body panels. They are too large and bulky and do not tuck away as they do on the actual car. yes I appreciate that they have been included but again the execution could have been better. 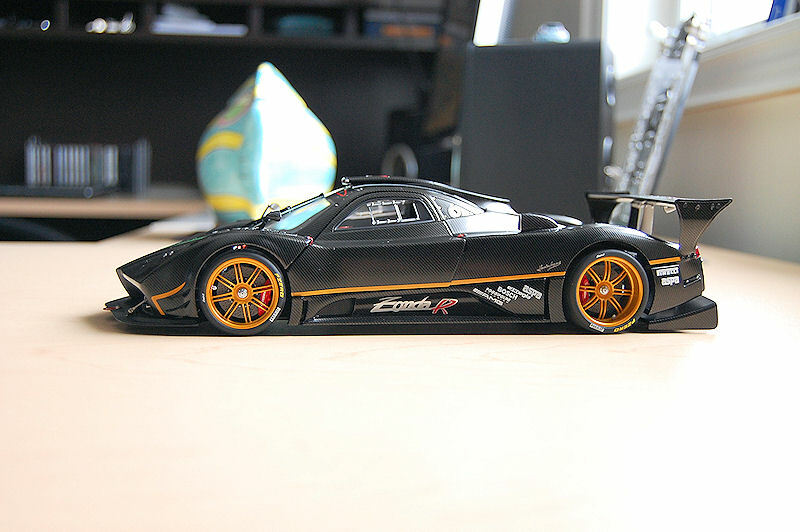 But still this is one of my all time favorite model cars of all time and those low points don’t take away the enjoyment of having this model in my collection. 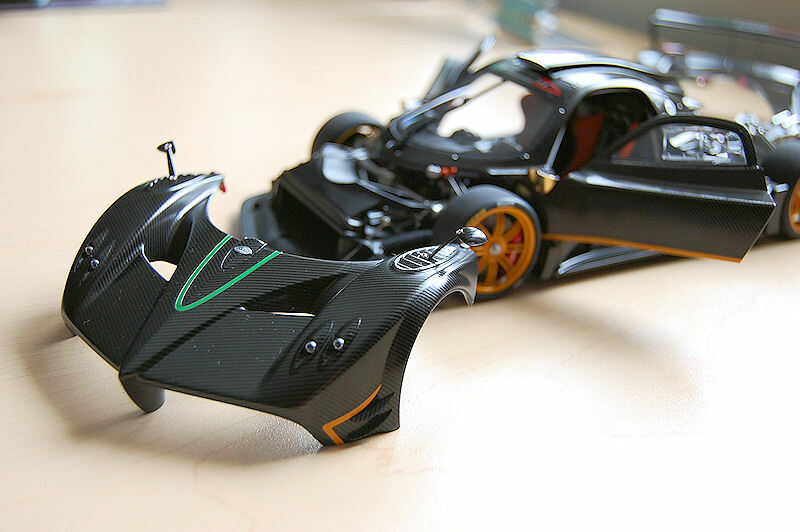 This model is absolutely beautiful as one of Autoart’s best works. I give the exterior a 90, interior a 90, and the engine detail a 95, which adds up to 275. On my opinion you need at least 225 points for a model to be part of Aa’s signature series. Good job on this one, Autoart. I look forward to see another one of your great works.